We hear a lot about unfair rates and exaggerated energy prices. The rates definately need a revamp and we are looking forward to a change in system, hopinig the prices will be equal for all households. In the mean time we have dug up some tips on how to keep the units low. Besides keeping the bills a little bit more affordable, these tips are a step in the right direction for a greener healthier planet. Remember 'We do not inherit the earth from our parents, we borrow it from our childern' Save Energy - Stay Green. 1. Don’t leave your TV, stereo and computer on standby – this is the mode when a little light is still on. On average, a TV set uses 45 % of its energy in standby mode. If this is done in every Maltese household, the nation will save over 1 million kgs of CO2. 2. Also, don’t leave your mobile phone charger plugged in when you are not charging your phone. If you do, 95 % of the electricity is wasted – only 5 % is used to actually charge your phone. 3. Don’t forget to switch off the lights when you don’t need them. Households are responsible for 30 % of the electricity consumption in the EU. Use "task" lighting (ex. desk lamps) rather than whole room lighting when a small amount of light is required. 4. If you buy new light bulbs, use energy-savings ones — they last longer and use four times less electricity than conventional bulbs. 5. Replacing existing T8 fluorescent tubes with new slim T5 fluorescent tubes one can save up to 40%. 6. When installing a new water heater, choose the smallest possible size that suits your requirements and that of your family and install it as close as possible to the water taps. Do not install the water heater outdoors. 7. Set your water heater to a comfortable temperature; 60 deg C is enough. Reducing the temperature by 5 deg C reduces consumption by 10%. Mixing hot and cold water to produce the required temperature wastes energy. 8. Switch off the water heater if you do not use it regularly throughout the day. 9. If you have a solar water heater with an electric booster, make sure the booster in winter only comes on after sundown or preferably very early in the morning before use, to avoid heating the water before the sun has had a chance to do so. Install a timer and set it accordingly. 10. Save hot water by taking a shower rather than a bath— it requires four times less energy. Also, consider installing a low-flow showerhead. 11. Never leave hot water running unnecessarily while shaving or washing hair. 12. When you make a hot drink, just boil the amount of water you need. 13. Don't let frost build up in the freezer compartment as this increases energy consumption. Check that the door seals on the refrigerator and freezer are tight fitting. Don't put warm or hot food straight into the freezer - let it cool down first. 14. Whilst cooking put lids on pots and turn down the heat when the water starts to boil. Use flat base cooking utensils whose base matches the heating ring. 15. If you have a microwave oven, use it as regularly as possible. It is the most efficient electrical appliance money can buy for use in the kitchen. 16. The electric oven is expensive to use - try to use it as sparingly and efficiently as possible. Do not open the oven door to check cooking - every time you do so you lose 20% of the accumulated heat. 17. The toaster is more energy efficient than the grill for toasting bread. 18. Dishwashers are to be loaded to full capacity before running. 19. When using a washing machine use the lowest water temperature required for the items being washed. A full load of washing is more energy efficient that two half loads. Use a cold rinse for your clothes. Do not use too much detergent. 20. When drying clothes in a dryer, dry heavy articles separately from light articles - don't over dry the clothes. Plan your washing when you can dry your clothes outside without using a tumble dryer. 21. Switch on electric blankets no more than half an hour before you go to bed and switch off just before you get into bed. 22. When choosing an electric heater, select one that incorporates a thermostat or energy regulator. 23. Do not leave heaters running for long periods. Heat room to a comfortable temperature. Do not overheat. 24. Temperature settings on air conditioners should be set only a few degrees below the outside hot ambience. It is not necessary to freeze a room. 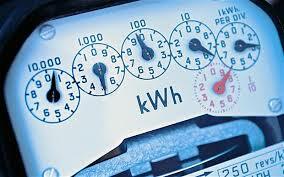 A few extra degrees of cooling will result in a substantial increase in electricity bill. In summer our bodies become used to hot temperatures. Therefore if it is 30 degrees outside, it is sufficient to set the internal temperature to 26 or 27 degrees. The difference in temperature will make you comfortable. Setting the temperature to 18 degrees is simply wasteful. This is true not only at home, but especially in offices. 25. Filters for air conditioners should be cleaned regularly. 26. Passive cooling (e.g. windows with louvers and blinds on the outside; solar films; double glazing; pale shaded curtains; roof insulation); and natural ventilation (e.g. open windows set high up in a room) are measures that can save great amounts of energy in cooling. 27. If you need to buy a new electrical appliance, for example a fridge or a washing machine, make sure that it is graded ‘A’ under the European energy efficiency label. ‘A’ certifies that it is very efficient in energy use. We hope that you find this useful. Please get in touch if you have any queries.